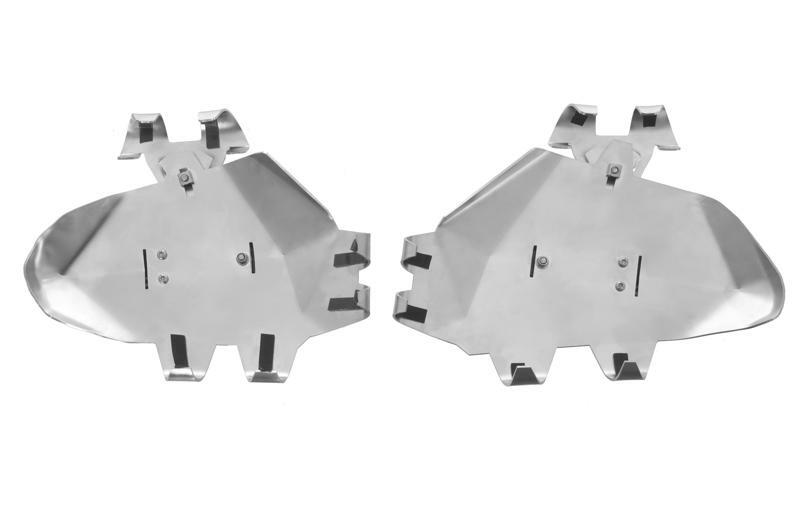 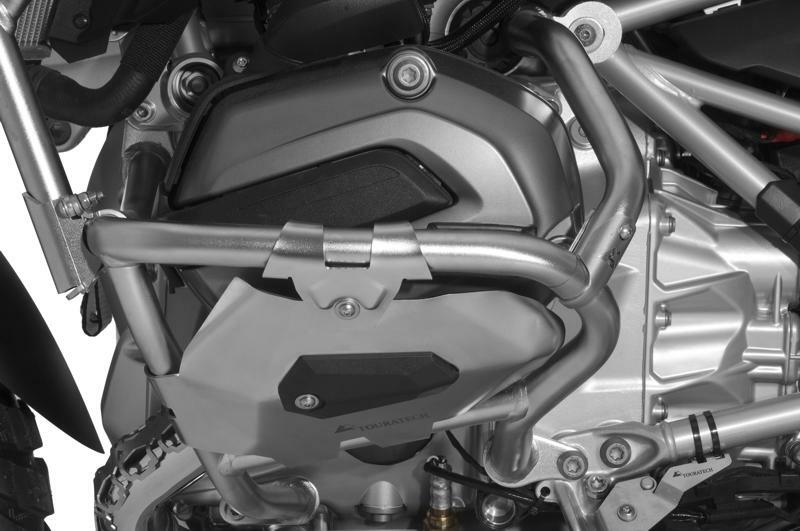 With the OEM lower crash bars on the BMW R1200GS or GSA, there is still opportunity for your valve covers to get dinged, scratched, up or cracked during a crash off-road. 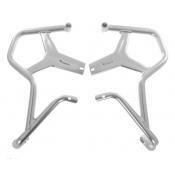 These stainless steel cylinder guards close in the factory BMW crash bars, preventing further damage. 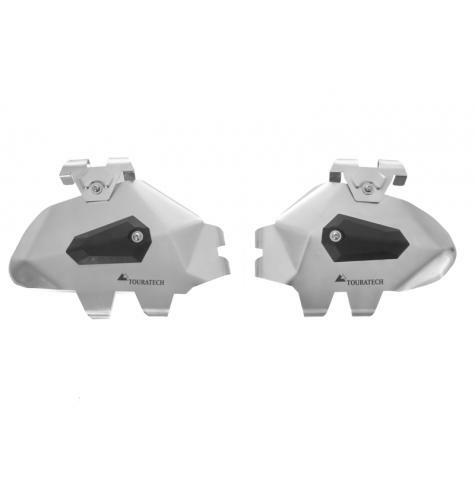 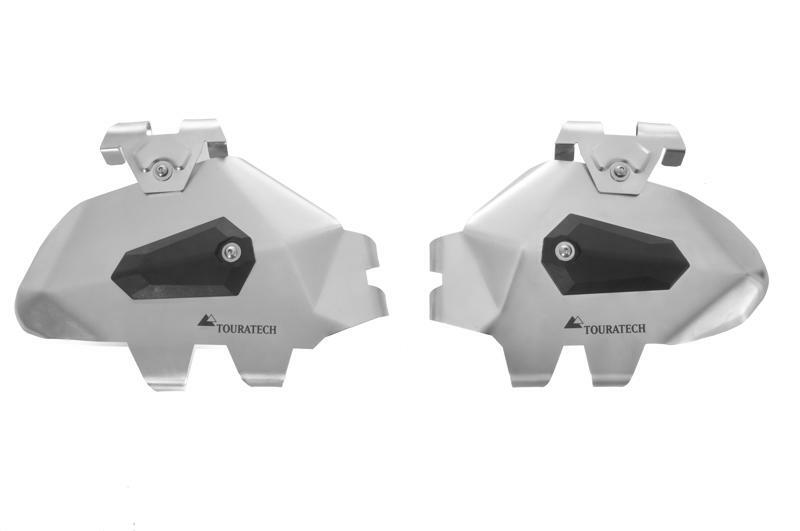 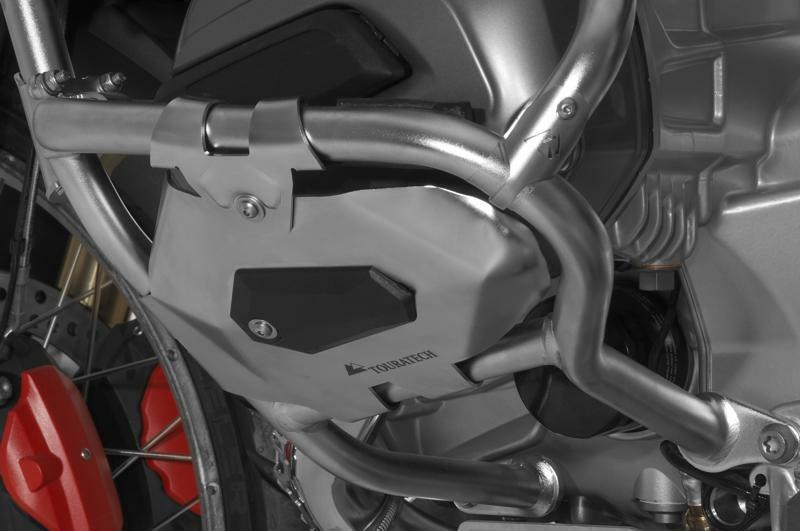 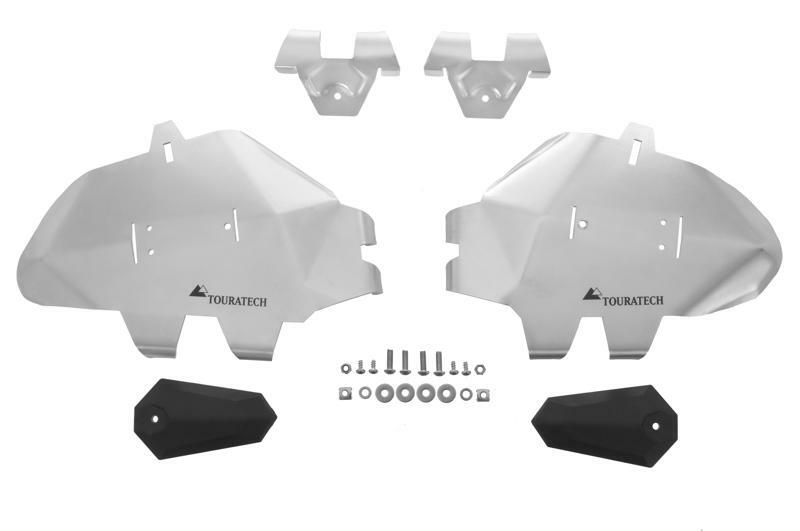 Made of beautifully formed stainless steel, these guards not only give additional protection to your motorcycle, they also look great on the side of the engine. 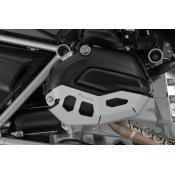 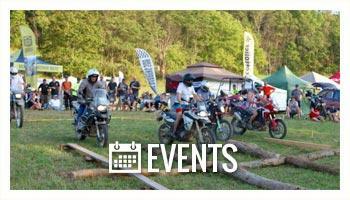 The plastic slider inserts are replaceable and are designed to match the look of the stock motorcycle. 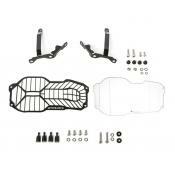 The guards are easy to install, and come with all needed hardware. 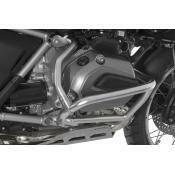 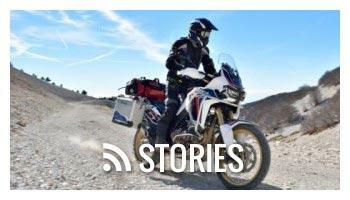 They are designed to mount to the original BMW factory lower crash bars only.